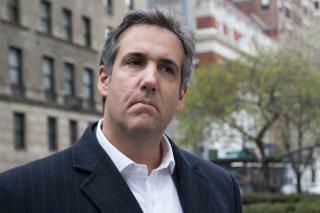 (Newser) – Back in 2013, Michael Cohen wrote an email to the Onion complaining about a satirical item written about his biggest client, Donald Trump. In the email, Cohen demanded an apology, threatened legal action, and asked the editor at the time to contact Cohen "immediately to discuss." The Onion ignored the email. Five years later, however, the site is having a change of heart, in classic Onion fashion. "Our editorial board would like to formally announce that we have finally read Michael Cohen’s 2013 email regarding his client Donald Trump and would like to discuss the matter further at his convenience," reads the new piece. The original story that angered Cohen is self-explanatory from the headline: "When You're Feeling Low, Just Remember I'll Be Dead In About 15 Or 20 Years." When a conservative gets dementia, no one notices. Every time trump opens his mouth I have to check first that it isn't an Onion piece. Don't f--k with the Onion. You will lose.